Our four year drought has finally shown Californians that we do not live in a tropical paradise but in a desert. We’ve got to start emulating our neighboring states (Arizona and Nevada) water saving practices. Even better, we should follow the example of Israel who has been dealing with drought since it became a nation. With less than 2 inches of rain per year, Israel has turned its nation into an oasis. View The Israel Water Solution! It has succeeded because it embraced a multifaceted approach where consumers, industry (especially agriculture), and government worked together as a team to find more water and not focus exclusively on conservation of their existing water supply. Israel looked at every way to find new water, from digging deeper wells, to desalination (35 percent of supply), to employing drip irrigation and other methods. It educated it’s populace on the worth of water, and now prices water on the open market so that it is valued like the precious resource it is. There are no senior water rights holders like here in the Western United States, where farmers and ranchers with 100 year-old water rights, get free or very low cost water. There is no favoritism and less politics involved. Field’s of green in Israel due to the excess amount of water now produced. Israel found its “holy grail” of water savings in “toilet to tap”. Surprisingly, Orange County California recycles its wastewater and pumps it back into its aquifer (an underground layer of water-bearing permeable rock, from which groundwater can be extracted using a water well). View 60-minutes Video on Orange County’s “toilet to tap” . Israel now purifies 90 percent of its sewage water, more than any nation in the world. So much water is generated that Israel now “desperately needs more reservoirs”. In Israel, a red pipeline means the water is unsafe to drink. Here a pipeline carries locally treated sewage to a holding pond, where it will be pumped out for irrigation. Until we match Israel’s best practices we need to first reduce our water waste, pick the low hanging fruit. As homeowners, we can learn to cut our water use in half. The EPA reports that the United States loses one trillion (1,000,000,000,000) gallons of water every year to water leaks. The biggest water waste is found in irrigating lawns which consumes 30 percent of residential water use. Repair leaking sprinkler heads, switch to drip lines and smart (weather reading) meters, replace your turf with xeriscaping (landscape in a style which requires little or no irrigation), or change your watering times to evening and you’ve got instant savings. 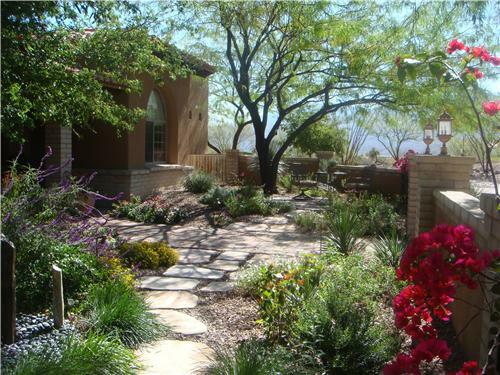 View Other HOA-landscaping Water-Saving Measures. The next largest water waste in your home is the toilet which consumes about 20 percent of residential water. If you have one continuously running toilet you could lose 250 gallons of water a day costing you hundreds, if not thousands, of dollars per year. 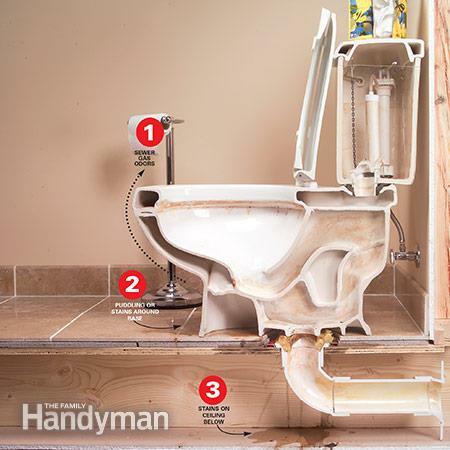 If you hear phantom flushes or a low hissing sound (running water) coming from your toilet you need to stop that leak. Toilet water leaks are often too slow to see. The best way to check if a it has a leak is to first fill the tank. Then, turn the water off at the base. Next, check the tank to see if the water level has dropped. If yes, then you have a leak and you’ll either need a new flapper, a new replacement kit, or another type of toilet repair or replacement. Learn More About Toilet Leaks. The third largest potential water savings is in air conditioning (AC) condensation. Every air conditioned building in the United States dumps their condensate (distilled water) onto the ground or into the nearest storm or sanitary sewer – or often on the deck or roof of the downstairs condo unit. In a single family residence, you can collect hundreds if not thousands of gallons of perfectly pure distilled water per year from your AC unit. If you manage a mid or high-rise building, you could generate thousands or millions of gallons of water per year for your HOA. Existing buildings would need some modification to capture this distilled water. This process, known as condensate recovery, is especially effective in hot climates where air conditioners produce an extraordinary amount of condensation. Another very smart (and dry) country, Dubai knows how to capture and use its condensate very well. The Burj Khalifa, the world’s tallest building, located in the desert city of Dubai, produces fifty-one million gallons of condensation per year. This “free” water is then used in the buildings pool and irrigation systems. The next most common potential savings is in finding and repairing “slab leaks”. This occurs where you have copper pipe embedded into the concrete slab. 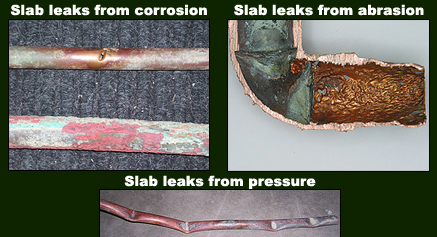 Copper pipe often develops pin-hole leaks because of the amount and strength of chemicals that many water districts put in their water supply to keep it safe from bacterial and viral contamination. These chemicals will find a pocket and begin to wear away the copper causing a leak. At first the leak is small but can quickly grow. For slab leaks, irrigation leaks, toilet leaks, and all other types of leaks, it’s best to have an expert inspect your systems for proper operation – at least annually. Your building maintenance expert will employ a FLIR (Forward Looking Infrared) camera to pinpoint the exact location of water leaks as well as electrical malfunctions (overheating circuits). Your building maintenance expert can also give you advice on how to best maintain these systems to prevent leaks from occurring in the first place (preventive maintenance). As consumers, we can cut our water use by at least 30 percent. Plus, if we use Grey Water and other capture systems, we can save up to 50 percent of the water that we discard. Now multiply those savings by our population and ponder the enormous savings. Many HOA managers are now leading the way for their associations with turf renovation and/or removal. Next, we need to move on to other water saving steps outlined above and show these same associations how to save countless billions of gallons of water annually, and save money in the process. Israel’s water supply solution was complex. The water issues here in the Western United States, now exacerbated by our 4-year drought, are complex too. It seems so simple, but all we have to do is follow Israel’s example. Even if the drought continues for another 5 or 20 years, we have no shortage of water. We do have a shortage of political leadership.